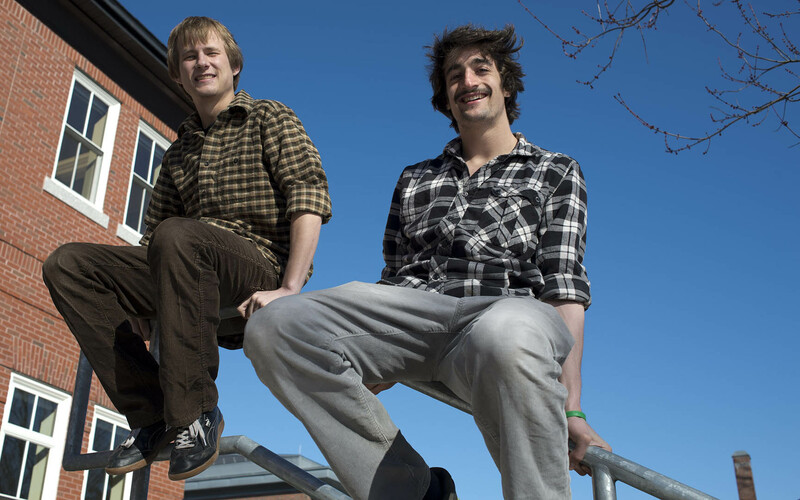 Davis Project for Peace recipients Spencer Collet ’13 and James LePage ’13. Photograph by Michael Bradley/Bates College. Initiatives to foster Israeli-Palestinian dialogue through the Web and nurture collaborative conversations in a recently liberalized Myanmar have garnered Davis Projects for Peace awards for three Bates students. The $10,000 awards support international projects that college students undertake to “bring new thinking to the prospects of peace in the world,” in the words of philanthropist Kathryn Wasserman Davis. Learn more. Two seniors, Spencer Collet of Leawood, Kan., and James LePage of Cumberland, Maine, received the award for “Tweets for Peace,” their project using the Internet to enhance communication between Israeli and Palestinian youth. The pair will work with former participants in the Seeds of Peace conflict resolution program that takes place every summer in Otisfield, Maine. 2013 Davis Project for Peace recipient Aung Myint ’14. Photograph by Michael Bradley/Bates College. Aung Myint, a junior from Yangon, Myanmar, received his award for “Minorities, Monasteries, and Conversations,” a reading-discussion program to help build the capacity for critical judgment and constructive dialogue among ethnic minorities in his native country. Using Burmese translations of English texts from the Maryland-based Touchstones Discussion Project, Myint will coordinate gatherings in Buddhist monasteries in Yangon.